That’s why one of the best investments you can make in the future of your company— and each individual employee— is a mentorship program. This arrangement gives more seasoned employees the opportunity to share their knowledge with newer colleagues, making valuable use of their experience. It also communicates to newer employees that company leadership values their development. Most importantly, though, mentorship helps create personal connectedness between employees. This makes both mentors and mentees feel more welcome and integral to the workplace. 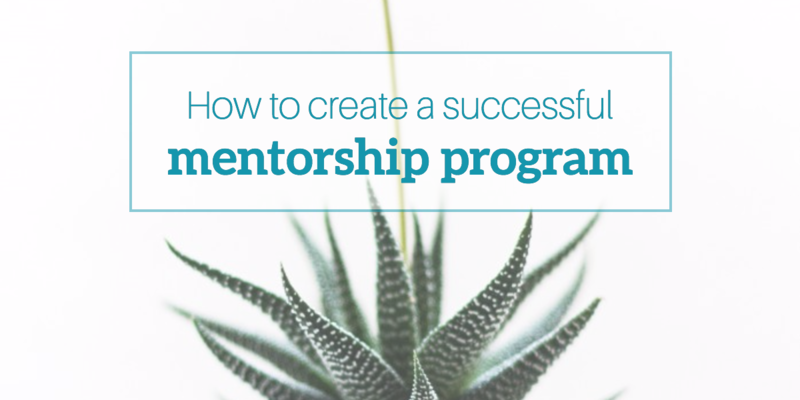 When introducing a mentorship program to your staff, it’s important that you have buy-in from company leadership. Ideally, some of these leaders will volunteer to serve as mentors. However, be sure to include strong and experienced employees who may not be in a managerial role as well. In an ideal mentor-mentee relationship, both parties glean insight from one another. An experienced employee who only wants to share how they’ve done things for a few decades would not make an ideal mentor. Look for people who are willing to share their best practices and to learn new approaches. Participation in a mentoring relationship should not be viewed as a springboard to a promotion for either the mentor or the mentee. Instead, communicate with both parties that this arrangement should develop the mentee professionally. Set guidelines for how often mentors and mentees should meet (weekly, monthly, etc. ), and set an end date for the program. In most cases, a year should be the maximum length of a formal mentoring relationship. Departmental leadership should work with the mentor and mentee early in the mentorship to set goals. Make sure each goal connects to the company's larger organizational objectives. This will contextualize the importance of their work to the company (which can help prevent burnout). Be sure you also honor the mentee as an individual by setting goals that help them on their overall career path. From a bird’s-eye view, company leadership should also set some goals for the mentoring program as a whole. Look at current metrics for turnover and engagement (see how to measure engagement using surveys here). Set goals to improve both by the end of your pilot mentorship program. After the mentorship is complete, survey mentors and mentees about their experiences. What was their progress towards the goals they set at the beginning? How well they did they connect with one another? Did they feel that the program was worthwhile? Combine this feedback with concrete data, including retention and advancement rates for mentees and the percentage of successful matches. Together, this information should give you a complete picture of how well the program worked for your organization. You should use this data to help make improvements for future mentorships. Creating formalized mentor-mentee relationships is a great way to deploy some of the resources you already have in your staff. Giving experienced employees an opportunity to share their expertise honors their contributions. It also reaffirms their importance to your organization. Similarly, this investment of time and resources into the professional development of your newer employees communicates that they’re valued by company leadership. While the mentorship program is a formal and structured experience, ideally your mentors and mentees will develop working relationships with one another that strengthen the personal connections both parties feel to their colleagues and the workplace as a whole. In the end, a successful mentorship program should aid employee retention and engagement efforts companywide.